Will the Raiders change their name if they move to Las Vegas? Will the Raiders change their famously recognisable silver & black colours if they move to Las Vegas? Will the Raiders change their logo if they move to Las Vegas? Although the Raiders have filed papers to relocate, a team spokesperson told USA Today that “No rebranding is under consideration”. And that sound you can now hear is thousands of Raiders fans sighing with relief. Raiders fans love the silver and black and none of us want it to change. The same goes for the logo, and we feel confident saying it won’t. The silver and black is the Raiders history and its heritage, with them potentially being the only team to have never changed their colours throughout their entire history. The most colour they have ever seen is a tiny bit of yellow on the arms and outlining the numbers in the early 1960s! 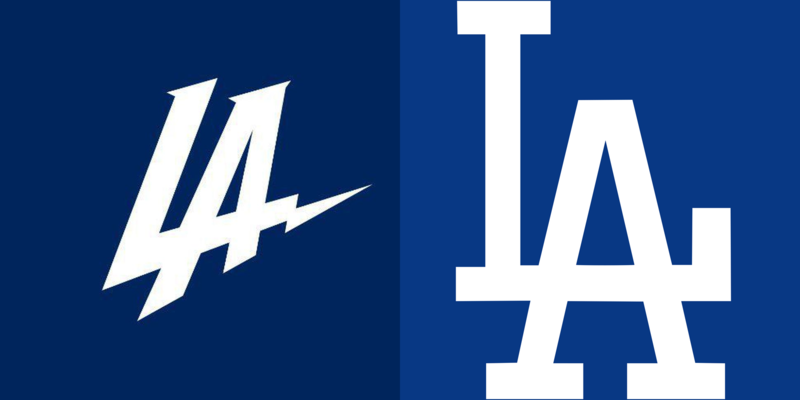 Those of you keeping in tune with all the recent relocation news will know the Chargers recently jumped ship and have declared they are going to move to Los Angeles, just one year after the former St Louis Rams did the same. It’s safe to say they did not enjoy a good first season in their new home town, going 4-12, so the once formidable Chargers will hope to avoid that same luck. Unfortunately for them it didn’t start so well. We will let you make your own comparison! After the abuse the team received to this new logo they decided to release another new, revolutionary design…..
Not exactly a big over-haul hey? 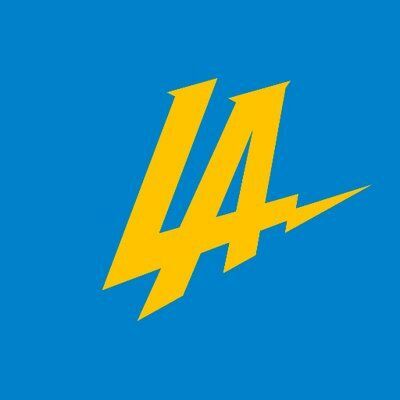 Since then the Chargers have changed a third (and what looks like final) time to their current logo which can be found on the team’s twitter page. The Chargers may have turned their move to LA into a rebranding farce, but the history behind the Raiders cannot be messed with. Long live the silver and black.